This picture is from Door County, Wisconsin and is close to where I have spent time during the summers my entire life. 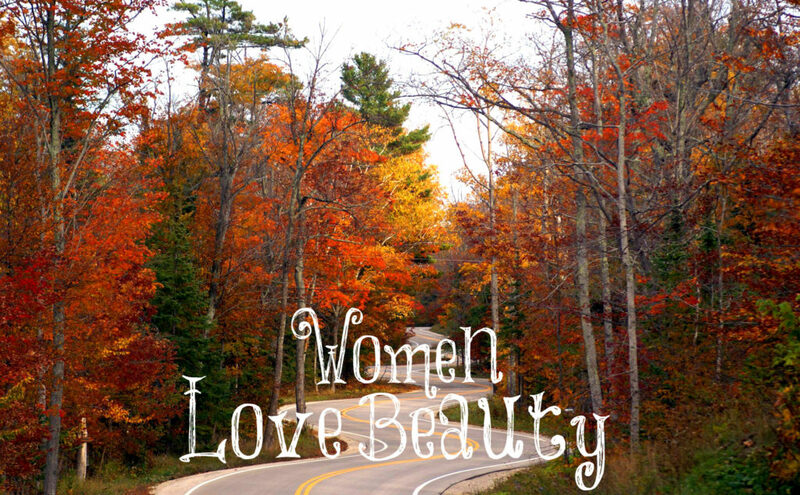 I posted it in my chat room and on my Facebook page and the women loved it because we love beauty! The road was designed by an artist, not an engineer so people would go slowly and enjoy the beauty of it! In a little gift shop near this road, they sell the picture of this curvy road in all four seasons. This one of fall is by far the most expensive because it is the most beautiful one. God is a God of beauty. Nothing can compare to the beauty of a sunset, the majesty of the mountains, or the colorful display of leaves changing in the fall. The earth, however, has a lot of ugliness in it. I won’t go into detail with this one because we can all see it and hear of it happening. It can be frightening and steal our joy. This is why God has commanded we dwell on the true, honorable, just pure, lovely, and commendable. Dwelling on the ugly things in life quickly takes away our joy. This election cycle is ugly. It always has been since I have been interested in politics. I haven’t watched the news for days now and I have more joy. In my older age, I have learned to rid my life of the ugly things since beauty is much better for me to dwell upon. As mothers at home, as many of your are, you need to focus on your duties at home so you won’t be frightened by the things in our world. Worrying is a waste of your time since it may or may not happen. When my sister was pregnant with her third baby, she was worried about bringing him into a scary world because the Iraq war was just beginning. I cried and cried when Bill Clinton was first elected President and Democrats had taken the House and the Senate. I had young children at the time and had gotten way too involved in politics. Politics isn’t our life. The only thing that the Bible says about politics is to pray for our leaders so pray we must. Cast your cares upon the Lord. He is on His throne and no man will thwart His purposes. For now, He wants to find you doing what He has called you to do. If you have children under your roof, you are busy. I was just talking to my youngest daughter yesterday. She has a three month old baby and is able to stay home full time. I asked her if she ever gets bored. She said told me, “No!” Between taking care of the baby, shopping, cleaning, cooking, laundry, and taking care of her husband, she is plenty busy. She doesn’t pay attention to politics and simply enjoys taking care of her little family. When the New Testament was written, the culture was not good and in fact, Jesus called it a wicked and adulterous generation (Matthew 16:4). We are to shine like lights in this world and we can’t do it if we are constantly fretting about the shape of our nation. It’s not our home, remember? 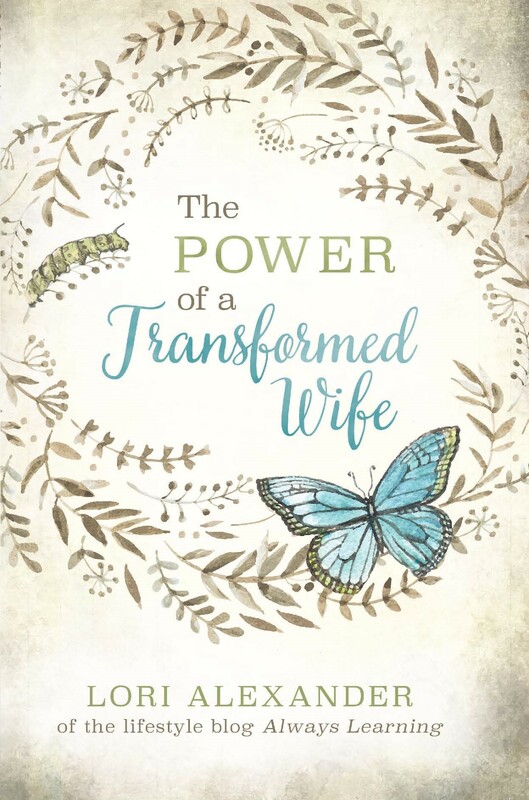 If your children are all grown up and gone, find a ministry to be involved in, especially to young women who are in desperate need of help and mentoring from older women. This is what I spend my days doing and I love it. My daughter-in-law was sick the other day so my son asked if we could keep the children. I went over and picked them up. On her table was a beautiful fall decoration and place mats. I told her how pretty they were and she said she loves pretty things. I then took the children to the beach for a while and it was a gorgeous day. They stayed until the next day. I was way too busy to worry about anything. Even if you don’t have grandchildren, I am sure there are other young mothers in your church without their mothers around that could use help. In our church, we have a sweet 94 year old woman that loves helping in the nursery by rocking the babies. If you have no children and/or not married, stay focused on serving others somehow since when we are serving others, we are forgetting ourselves. If you have a husband and a home, serve your husband and take good care of your home. A clean home is a beautiful home! Serving others is the healthiest thing we can do for ourselves and others since it takes our mind off of ourselves and our’s and the world’s problems and puts it onto other people instead. The future and the unknown are always scary if you dwell upon them. Since you love beautiful things and knowing that God is the author of beauty, dwell on these! Don’t let the ugly things of this world take away your joy for the joy of the Lord is your strength. Do what He has called you to do and leave the big things that are out of your control in His BIG capable hands. ***If you would like a signed copy of my book, send $12 through PayPal (for only those living in the US) to laalex2@aol.com. Make sure you add your address with it. Thank you! I agree. So much energy can be poured into things that will not change, but *we* can change our homes and our families and other people in need by our attentive love and care. That’s so much more fruitful than fretting over the news. You’re welcome, Lady Virtue. Can you believe that I have never personally seen leaves change? Leaves don’t change her in Southern CA! However, we do have the beautiful ocean, mountains, and many other amazing things that all point to our powerful Creator. Such a timely post for me Lori. I have been worry filled lately. Many personal things and yes, the election. Reading this was a blessing. Not having a godly older woman ” in the flesh” in my life, I cherisg these teachings. Thank you, Mrs. O. We need to be encouraging each other to keep our eyes on the final prize instead of upon this earth. While evil rules this earth (Satan), there is chaos, but when Christ will reign, it will be glorious! Beautifully said! We need to focus on Him and the duties He has given us to do for His glory. We definitely need to pray for our leaders. I don’t follow the politics too closely because it stole my joy. I would stress and worry… rather than focusing on the Lord. I find comfort in knowing that no matter what happens… our sovereign Lord is in control! 🙂 I am so sorry you have never actually seen the leaves turn! I am in Western PA and fall is my favorite season! The leaves look and smell wonderful!! 🙂 I hope you can visit a place where the leaves change one day…. it produces joy over flowing and praise to our Creator just pours out of you when you experience the beauty!! Yes, hopefully, Lord willing! Thank you, Katy. He absolutely doesn’t want us to spend our time worrying and taking away our joy. It’s not like He is wringing His hands and worrying about what is going on. No, He knows and all of those who are His can trust in the many wonderful promises He has given us. I remembered your new blog after realizing I haven’t been receiving your daily emails in my inbox. I will need to subscribe again because you have been a solid influence in my life. Here a little, there a little, has a powerful effect. Keep it up, I am sure there are many women who, like me, read your post and quietly get on with their day without commenting. But I am so often encouraged as a wife and a mom of young children and two teens. I’m a happier and more joyful around others ( and myself), when I don’t watch or even listen to the news. Like Lindsay Harold has said, we can control our thinking.